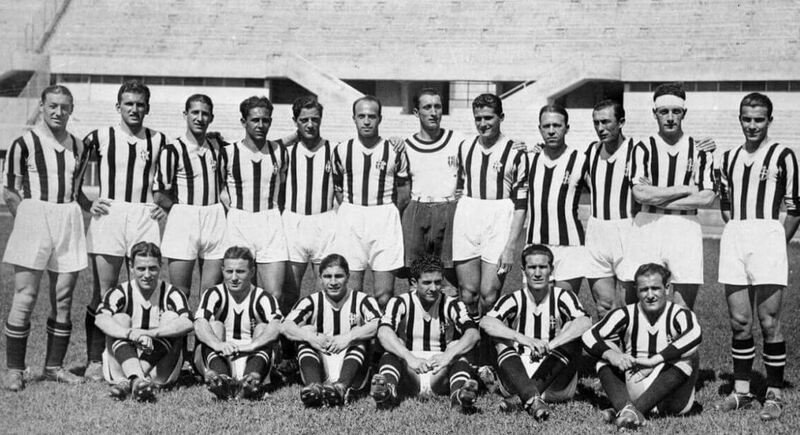 This group began with a big game, when Italy took on Spain, the title holders and the current World Champions. The Italians crowded their midfield with five players and thus stifled Spain’s short passing game, tiki-taka. Spain dominated the game however, but it was Italy who took the lead when Antonio di Natale scored for Italy after an hour. It was not to last long. Cesc Fabregas equalized just after 6 minutes. The Republic of Ireland were proof that they merely made up the numbers in this tournament and that an inflation to 24 teams will see the figure of dull, defensive teams increase for Euro 2016, hosted in France. Trapattoni’s team were thoroughly defeated by Croatia, 3-1. Bilic’s team cemented their status that many considered them as ‘dark horse’ in this tournament. Ireland’s status as minnows was further underlined with a 4-0 defeat against Spain. This game saw Fernando Torres scoring twice and inspired some thinking that he might find his form of 2008 again. Wishful thinking it was. Spain went on to win the group with a lucky victory against Croatia two minutes before full time, Jesus Navas found the back of the net after a lobbed pass from Fabregas found Iniesta who squared to Navas. However, Spain nearly did not make it out of their group. A draw would have seen them going home and Croatia progress. Croatia demonstrated that Spain are vulnerable and Luka Modric’s cross and Rakitic’s subsequent splendid header nearly delivered the example. Casillas saved Spain with an equally superb save. Italy showed no mercy with Giovanni Trappatoni, their compatriot and Ireland coach and scored twice, leaving Ireland with 0 points and a task to rebuild their team, with or without Traps is not decided. The group, not labelled ‘group of death’ like group B was indeed delivering football for the head instead of the heart as Spain played often with no striker at all, while Italy played three at the back and five in midfield. Added to this was Croatia’s 4-2-3-1 and Ireland’s 4-4-2 and it was visible tactical history. Group D: Allez les Bleues? Finally, Group D where France met England in their first match. It was a tedious 1-1 draw which saw England taking the lead in the first half and defending in the second half. France lacked ideas to unhinge the England defence. Roy Hodgson’s team made no effort to play forward and were visibly happy with the draw. Unlike Poland, the other co-host, Ukraine managed to win their opening game against Sweden 2-1, national hero Andrey Shevchenko scoring both. A much more entertaining match was the fixture between England and Sweden. England took the lead midway in the first half. Just after the re-start, Sweden equalized through an own goal by Glen Johnson and suddenly it was game on. It came even worse for England when Olof Mellberg scored from a set piece to give Sweden the lead. Alas, it was only for 5 minutes. England won a corner, the ball bounced to Walcott, on for Milner, and he volleyed it into the net from 25 yards out. At 2-2 the game was an end-to-end affair which chances created either side. It was Wellbeck with one of the goals of the tournament so far, scoring the winner for England. Walcott raced into the box and passed in the middle, Wellbeck flicked the ball into the net with his right heel. Sweden were out but Ukraine, France and England still had a place in the last eight to play for. France felt the pressure or were simply nervous in their game against Sweden. Just after half time, Zlatan Ibrahimovic scored with a scissor kick and left Lloris in the French goal no chance. In injury time Sebastian Larsson added another to condemn France to a meeting with Spain in the second group. England meanwhile where with Wayne Rooney again after his two match suspension. It paid off. The first half saw no goals but the period immediately after kick-off for the second half was a time for goals in this group. Rooney headed home from 1 yard from a cross that took two deflections and landed on his forehead. The game produced some controversy as Ukraine seemed to have scored a legitimate goal through Marko Devic but John Terry cleared the shot. However, his foot appeared to be behind the goal line, nurturing suggestions that the ball had crossed the line and the goal should have been given. Despite being in good position, neither the goal line referee nor the linesman signalled a goal and the referee duly waved play on. It was one of the major talking points of the tournament and will give those in favour of goal line technology even more pressing arguments. Sweden and Ukraine are out, England will face Italy while France will play Spain in the next round. Germany face Greece in a game with potential political connotations. The Czech Republic will learn how to handle Cristiano Ronaldo and France have to be careful not to lose their heads when Spain start their ‘tiki-taka’. Italy and England could be a classic. It has been a hectic and interesting 11 days so far with certainly more of it to come in the following 11.